PDF Reader gives you complete file management system that allows you to edit your PDF files according to your specifications. Based on characteristics solid and annotations and markers. PDF Reader offers even more: it combines multiple documents, divide your PDF into multiple files and insert pages from other PDF and PDF files. 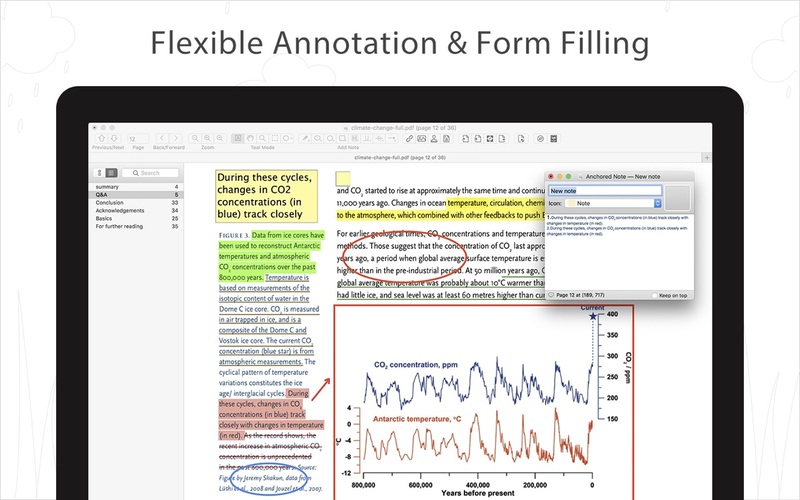 · Rate PDF files with highlights, underlines, lines, circles, freehand writing, and more. · Insert stamps, comments and notes. · History notes: Access important sections of documents instantly. · Transforms imported images directly from scanner or PDF iOS device.